Also this year, we were present at Expodental 2018, one of the most important events in the dental sector, full of presentations and insights for dental technicians and professionals. These days were intense and full of novelties, during which we were completely immersed to offer our guests the best possible contribution to all our guests, with lots of news on our digital products and laser melting and milling services. On the occasion of the event, we presented our new catalog full of interesting updates and new solutions for dental laboratories. From milled to products, our new catalog is full of surprises: new materials, new possibilities. If you did not come to the fair, you can request it here and we will send it to you by e-mail. 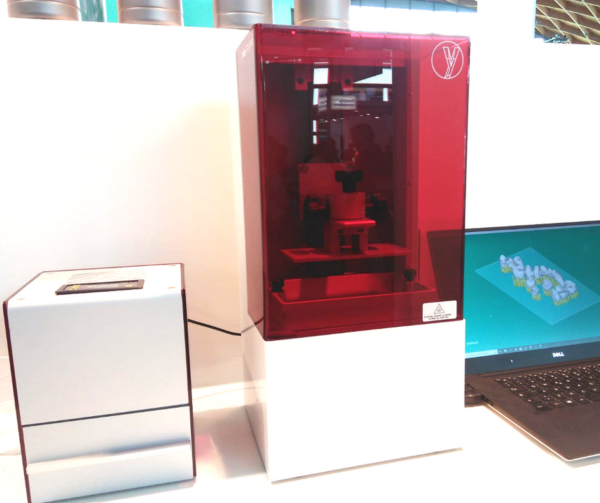 We have also exposed the updated version of the yndePRINTLCD 3D dental printer with the new ynde.PRINTUV polymerization oven to make our printer even more functional and complete. La nostra azienda ha partecipato attivamente anche all’area Expo 3D, l’area dedicata alle tecnologie digitali e alle sue applicazioni in ambito dentale. An interesting opportunity to compare and bring the whole dental world closer to the digital one. We thank all the visitors who came to visit us at the stand, we are proud of all the interest you have shown and the trust you place in us. We are waiting for you at the next events!